Read More Keith and Kristyn Getty, the world-renowned modern hymn writers whose songs are sung by an estimated 100 million people each year in churches and concert halls on every major continent, return this June 17 with a new studio album titled, Facing a Task Unfinished. The project marks the 5th studio album from the couple and their first major release of new songs since their widely-embraced Hymns for the Christian Life (2012). The album's cornerstone is its title track, "Facing a Task Unfinished," a hymn originally written in 1931 by China Inland Mission (now OMF International) worker Frank Houghton as a call for 200 missionaries to go into the heart of China at a time of turmoil. Inspired by the hymn, more than 200 missionaries soon set sail to plant the seeds of the Gospel, resulting in what mission experts believe to be the greatest growth of Christianity in the history of the world - estimated to be between 80-130 million people. Recently, OMF International invited Keith and Kristyn to modernize and re-introduce Houghton's 85-year-old hymn, and the Gettys added a new chorus specifically to invigorate a new generation of congregational singing. The updated version of "Facing a Task Unfinished" was the focal point of the largest known one-day global hymn sing when an estimated 1.1 million people in 100 countries joined together to sing the hymn on Sunday, February 21. The event made international headlines, with over 5,400 churches taking part on 6 continents - from Bahrain and Australia to Bangladesh and China, and in dozens of major cities including Tokyo, Hong Kong, New York, London Singapore and Los Angeles. Following appearances at selected events this summer, the Gettys will kick off touring in support of Facing a Task Unfinished at Belfast Waterfront (in Northern Ireland) with a run of performances in the US to follow this fall and again next spring (2017). The global call of the album has also set in motion plans for concerts in South America, Africa and the Pacific Rim. In between, Keith and Kristyn will return to their annual Joy - An Irish Christmas tour in November and December this year. 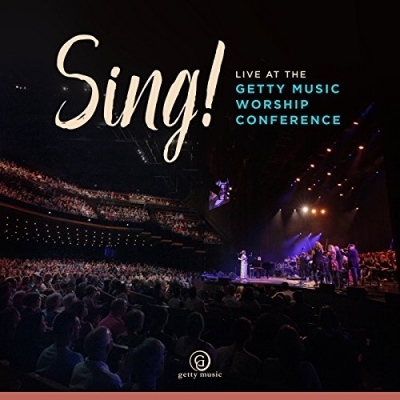 The first annual Getty Music global conference on congregational singing is scheduled for September, 2017.